Ski vacations can be expensive. Once you add up airline tickets, vehicle rental, lodging, lift tickets, food, lessons, equipment rental, baggage fees, apres-ski, and tips for instructors, you might just think you’ve made a down payment on a house or a new car. Despite all these costs, however, savvy skiers and snowboarders can save money on their next ski trip. As a ski industry insider, people often ask me how they can save money on their next ski vacation. These are the most frequent cost-effective tips I share. Take your ski vacation during the off-peak season. This one may be obvious, but… ski resorts know they’ll be packed during holidays and school breaks, so they really roll out the deals during off-peak times to lure in vacationers. This is a great time to find deals on lodging, airline tickets, and lessons. If you have kids, you may need to make adjustments to their schooling to attend during off-peak times, of course. If you’re kid-free, the beauty here is that skiing during off-peak times means the lines — both on the slopes and in the restaurants — will be much shorter. Ski vacationers miss out on many deals by not planning months in advance. Many ski resorts offer pre-season ski pass sales months prior to opening for the ski season. These can offer significant savings over daily lift tickets. Discounted season passes are often available the last two weeks of the previous ski season — and then offered again in early fall before the season starts. Don’t wait until the lifts start spinning. Bonus: Season passes usually offer discounts on lessons, food, and lift tickets for family and friends, so season pass discounts may be deeper than initially perceived. Don’t pay the window lift ticket rate. The window rate is the penalty for not planning ahead (see above). Discount coupons can often be found in the Entertainment Book, or online at Liftopia, Skicoupons, Skifreedeals, and in the Gold C Book. Market specific coupons may be available too; you’ll need to check Craigslist and eBay to find them. Pro tip: Snowboarders often find coupons in the printed edition of Transworld Snowboarding. Don’t pay full-price for last-minute ski vacations. Sometimes ski resorts realize that they have a sudden drop in bookings and put almost everything on sale. To see if this is the case, check regularly with the Central Reservations of the ski resort for any specials. Also, check on the website of the local Chamber of Commerce. Finally, be sure to keep an eye on Liftopia.com for notices. Don’t pay full-price for ski or snowboard lessons. Understand this: Discounts always exist for lessons. First check the resort’s website for any specials. Then check for lesson, rental, and lift specials on SkiCoupons.com. If all else fails, stop an instructor at the resort and ask for a referral card. Referral cards offer immediate discounts on most lesson products. Most often, rental vehicles are just needed to transport you and your gear to the ski resort. Once at the resort, most ski resorts have a free bus system. Eliminate the car rental expense and high rental taxes by taking a resort bus or shuttle instead. If you book as a group or reserve in advance, you’ll often get a discount. Look for coupons on their website, too. An even cheaper option may be to take a Greyhound bus to the ski resort. The ultimate cheap option is to look for rideshares on Craigslist or some other ski carpool websites. It’s possible to eat gourmet meals at budget prices even in ritzy Aspen, Colorado. The trick? Eat at the bar instead of in the dining room. You’ll get significant savings. Some restaurants and bars have free hors d’oeuvres during apres-ski while others may have free pizza hours on off-peak days. Check the online schedule of events at restaurants and bars at the ski town you plan to visit. Many use Twitter and Facebook to announce specials. 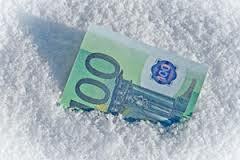 Generously tip your ski or snowboard instructor after the lesson. This may be the best tip of all! You’ll learn the locations of the best budget dining, apres-ski, and all the specials in town. The instructor likely works a second job at one of these establishments. Even if your instructor doesn’t work at a local restaurant, he or she will know where all the best deals are. Are you eligible for military discounts? If you or your spouse are active duty military members, there are significant lift, lodging, and rental discounts available just for you. Check your favorite ski resorts website for information. If you don’t see any information, send an email inquiry using the ski resort’s contact email address. Most resorts offer military discounts to active duty military. A few resorts in Colorado offer discounts to retired military.